BELMOPAN, Cayo District, Wed. Nov. 29, 2017–During her appearance before the Senate Special Select Committee today, former Director of the Immigration and Nationality Department, Maria Marin, revealed that the first thing she did when she was handed the reins of the department was to implement a new visa application process. She said that the process prior to her taking charge was, “a very haphazard one,” in which applicants recommended by UDP Ministers and caretakers bypassed certain required procedures. 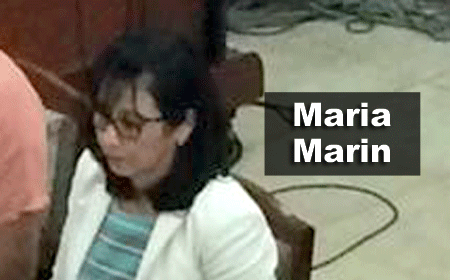 After two hours, the testimony of Maria Marin, former Director of the Immigration and Nationality Department, came to an end. The next, and final witness to appear before the committee, will be Auditor General Dorothy Bradley.